How do I cure acne caused by stress? How do I cure acne caused by stress? Do you wake up, immediately scroll, drink a giant coffee, and feel completely frazzled? Are you breaking out and asking how do I cure acne caused by stress? I used to start my day setting myself up for a complete cortisol flood, engaging in unhealthy practices like immediately reaching for a screen and over caffeinating. 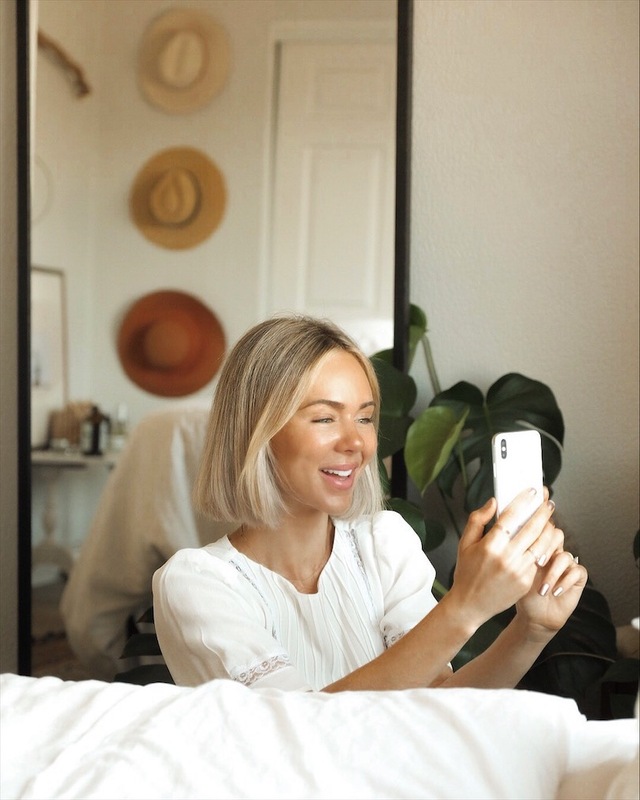 I highlighted my morning routine on this week’s instastories, many of you loves asked for all of info in a blog post, voila, here it is. In this post I’m going over all of the morning rituals I practice to reduce my cortisol spike, keeping my skin and mind clear. 6:00AM: Wake up (usually a few minutes before my living room alarm) This takes practice but the longer you follow a sleep schedule the easier this will become. 6:15AM: Lie on the couch, turn on my mediation playlist, set my phone timer for 15-20 minutes and meditate. 6:35AM: Drink 1 L of water, I use a 1 L water bottle to track my 3L a day. 7:00AM: Start my day calm cool and collected! I hope these AM tips help you feel good, clear your skin, and give you the mental clarity to take on the day! "How do I maintain a healthy routine while traveling?"